Link back to the blog that nominated you. Answer the questions they set for the blogs they nominated. 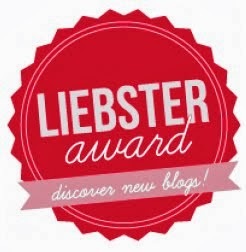 Nominate 10 blogs of your own, and be sure to let them know, with a link to your post! 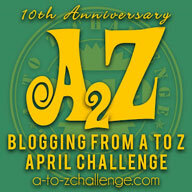 Ask 10 questions for the blogs you nominate to answer in their post. Q1. If you could be any literary character who would it be and why? I have many favorites and so choosing between them is very difficult because they are my favorites for different reasons. Each is special in some way or the other. Some of my favorite books include "The Last Lecture", "Tuesdays with Morrie", all books by Agatha Christie, all Sherlock Holmes books, the HP series, "Jonathan Livingston Seagull", "The Secret Garden", "The Railway Children", the Twilight series, all Enid Blyton books, "The Time Machine", "Little Women", Nancy Drew series etc. Q3. What are the next three books in your TBR pile? Q4. When do you find time to blog? Q5. Who is your favorite author? Q6. If you could live within the pages of a book, which would you choose? I would love to go on an adventure with Nancy Drew or the Famous Five! Q7. Are there any books that you you wish you hadn’t read or that you could rewrite? If so which one and why? I don't regret reading any book and definitely don't wish to rewrite any. Each book is written from the perspective of its author and if another person rewrites it then the whole perspective will change, eventually changing the original feel of the story! Q8. What is your favorite genre? Q9. Which do you prefer, Paper copy or ebook? Q10. What is your favorite and least favorite film adaptation of a book? My favorite adaptation will be LOTR and least favorite "The Deathly Hallows" from Harry Potter book series. Libraries are my favorite places to visit and the thrill I get there is unlike any other place. I love visiting new places but hate travelling which is pretty weird. Q1. How did you come up with your blog’s name? Q2. What inspiration do you get from blogging? Q3.Why do you love blogging? Q4. What does you family think about your blogging? Q5. What is your favorite book series? Q6. While you are reading which is better: Coffee or Tea? Q7. If you were the main character in a movie, which actress/actor would you want to play your role? Q8. Who is your favorite Disney character? Why? Q9. What is the first book you got obsessed with? Q10. How long do you think you’ll run your blog?